Key vocabulary for the Jewish Festival of Lights. Al Hanisim — Pronounced ahl hah-nee-SEEM. Literally “on the miracles,” the prayer added to the Amidah prayer and Birkat Hamazon (blessing said after meals) during Hanukkah. Dreidel (also commonly spelled dreydel) — Pronounced DRAY-dull. A spinning top with four sides, each marked with a different Hebrew letter and each indicating a different play in this game. When is Hanukkah 2018? Click here to find out! Gelt — Yiddish for money, which was traditionally given on Hanukkah. 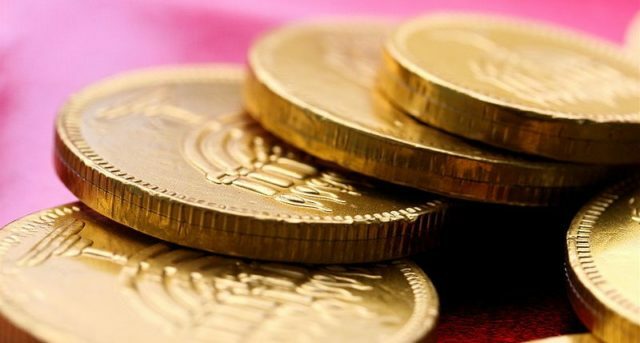 Today, it is more often used to identify foil-covered chocolate coins, which are included in many Hanukkah celebrations. Hanukkah (also commonly spelled Chanukah) — Pronounced HAH-nuh-kuh. Literally “rededication,” an eight-day holiday commemorating the Maccabees recapturing the Temple from the Greeks. Hanukkiyah — Pronounced hah-noo-kee-YAH or hah-noo-KEE-yuh (oo as in boot). Literally “Hanukkah lamp,” it is more commonly referred to as a menorah (see below). It contains nine candle-holders, one for each night of Hanukkah and one to hold the Shamash (see below). 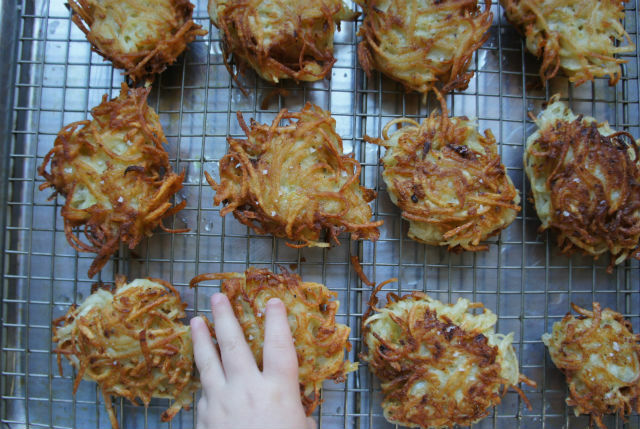 Latkes — Pronounced LAHT-kuhs, sometimes LAHT-kees. 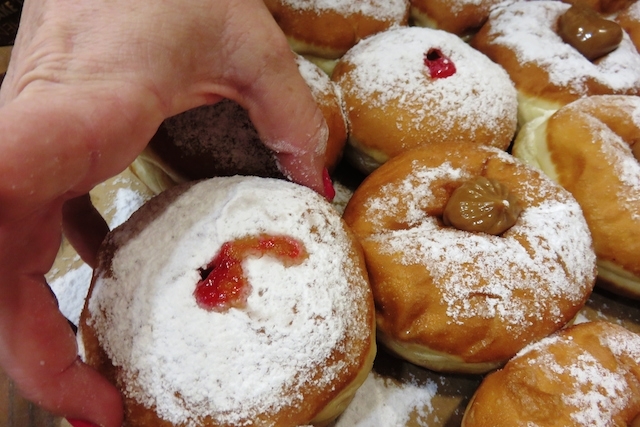 Pancakes, usually potato ones, fried in oil and eaten on Hanukkah. Maccabees — Pronounced MACK-uh-bees. The family of religious zealots who triumphed over the Syrian Greeks and liberated the Temple. Menorah— Pronounced muh-NOHR-uh. Literally “lamp,” it originally was used only to describe the seven-branched candelabrum that was used in the ancient Temple in Jerusalem. 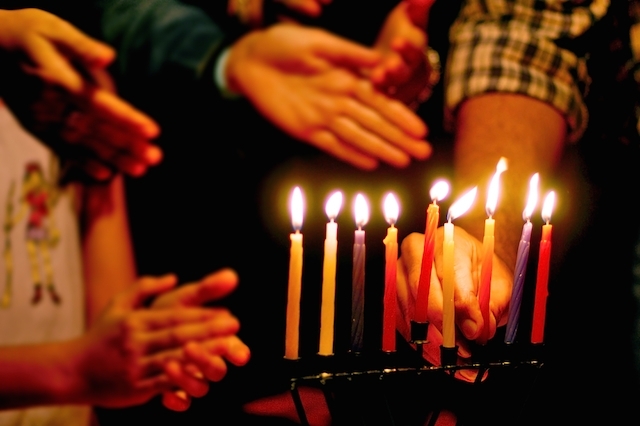 However, the hanukkiyah used on Hanukkah is commonly referred to as a menorah. Sevivon — Pronounced suh-vee-VOHN. 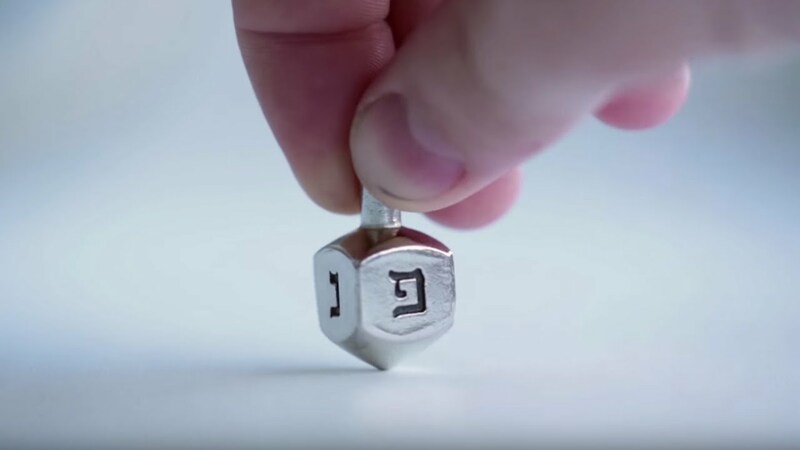 The Hebrew word for dreidel. Shamash (also often spelled shammash) — Pronounced shah-MAHSH. Literally “the helper,” the candle on the Hanukkiyah that is used to light the other candles. Pronounced: kha-new-KEY-uh, Origin: Hebrew, a candelabra with eight branches used for Hanukkah candles. Also known as a Hanukkah menorah. The Maccabean revolt and the miracle of the oil. Lesser-known facts about the Festival of Lights.